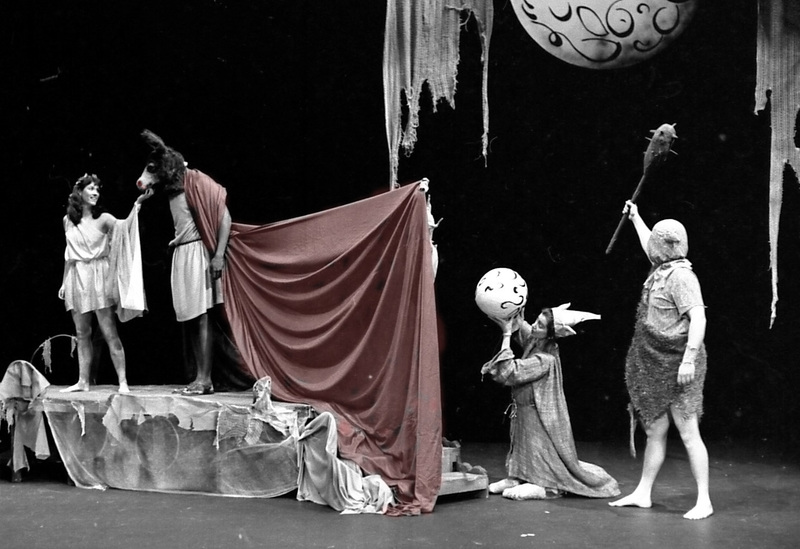 What if Marco Polo brought Commedia dell’Arte back from China along with silk and spaghetti? This is what it would look like. Scenes from 2013 CTC production of THE EMPEROR AND THE NIGHTINGALE by Hans Christian Andersen, adapted by Gayle Cornelison. Staging and video by Will Huddleston. Choreography by Corinne Bupp and Logan Helm. Set by Paul Valerga and Ralph Ryan. Costumes by Jane Lambert. Lighting by Ben Brotzman. Produced by the California Theatre Center. A collage of scenes from the play BEN FRANKLIN INVENTS AMERICA written and directed by Will Huddleston. 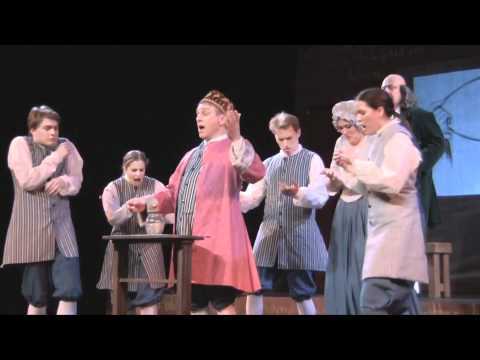 When this production was produced by the California Theatre Center the play was titled: THE LIFE AND TIMES OF BEN FRANKLIN and it featured Charlie Shoemaker as “Big Ben” along with Stefan Fisher, Justin Karr, Jenna Pinchbeck, Kelly Caitlin Sullivan, Sarah Thermond and Brendan North. The play is published by Eldridge Publishing and can be found on the title page of their website. A goldie but oodie. MCHUD directed this in 2008. 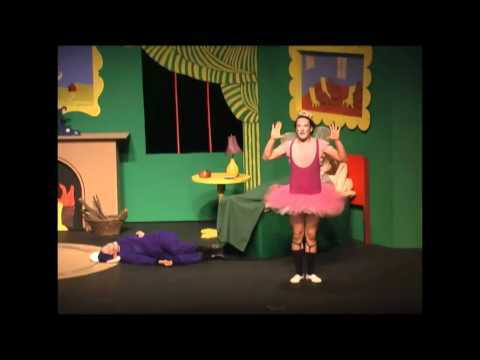 In it you see Kyle Payne as “The Tooth Fairy”, Cynthia Zitter as the “Bunny” and Jonathan Shue as the “Mouse”. MCHUD has two plays for young audiences on tour this spring. Here’s a piece of MOST VALUABLE PLAYER. Scenes from MOST VALUABLE PLAYER on West Coast tour. Play about baseball great, Jackie Robinson, first African American to play in the Major Leagues, written by Mary Hall Surface, directed by Will Huddleston, produced by California Theatre Center. 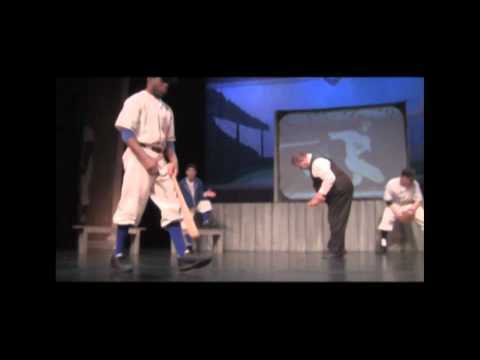 Featuring Charles Shoemaker, Thor Bautz, Justin Karr, Sarah Ondocsin and Donnell Hill as Jackie Robinson. Scenes from “AMELIA EARHART, Flights of Fancy” by Will Huddleston. 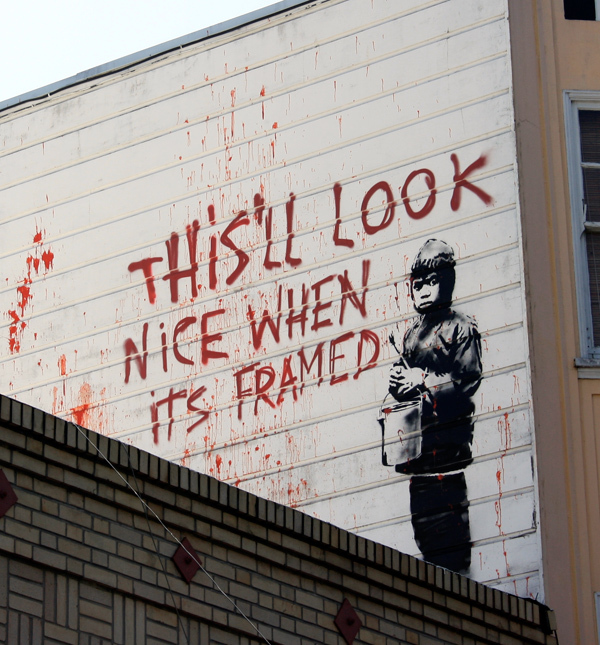 Produced by California Theatre Center. 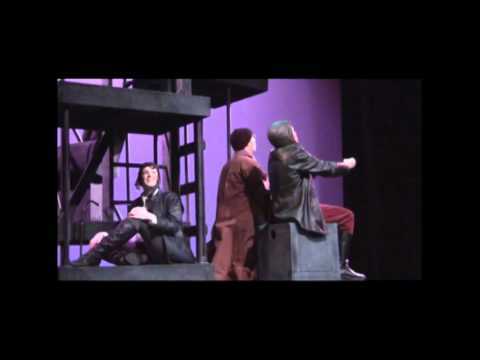 Published by Eldridge Plays and Musicals. Cast: Chris Eubanks, Alexandra Hensley, Taylor Jeffers, Justin Karr, Vivian Lamolli, Hilary Ann Stevens and Sarah Ondocsin as “Amelia”. Set: Jenn Scheller. Lights: John Keenan. Costumes: JaneLambert. Stage Manager: Kyle Schuller. Sound and direction by Will Huddleston. 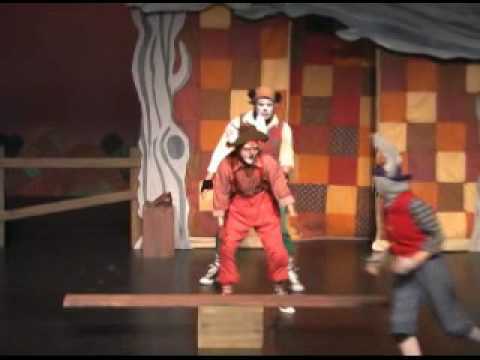 It’s as much of the play as Mchud could pack into a 10 minute clip. 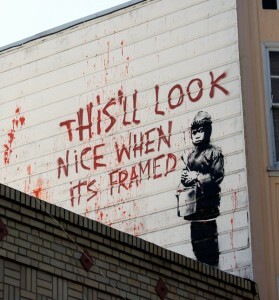 Perhaps it’s better this way. 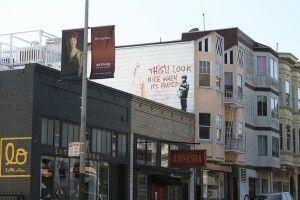 This haut-grafitti lasted only a few days before it was painted over. Hey, David Hockney can break into my house and paint my walls any time he wants. TO WHOM IT MAY CONCERN: I have an interesting, old fashioned dresser that needs painting. I will prep the dresser, buy the oils, and pay $300 to any credible painter whose work I like and who would enjoy the job. The First Fairy-Dwarf carries the Moon-egg-changeling Child who is weeping because she has fallen from her place in the sky. Before she can return to her home Titania must make love with the Beast which you see here. But do not worry, the Beast will suffer love without harm, and Teddy-without-a-Face will steadfastly protect the Moon-Child until she can return to her home in the sky. What a flash from the past! Molasses used to be my specialty. 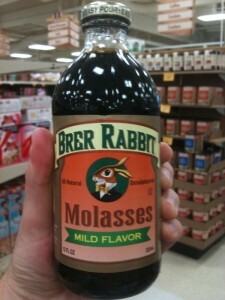 If I remember correctly Brer Rabbit Molasses is light and runny, sweet enough to pour directly onto your pancakes. Compare it with Plantation Brand Molasses. (Molasses is nothing if not “southern”) Plantation brand was heavy, thick and black as tar. (It would not do to think of the “Tar Baby” at this point, though “Tar Baby Brand Molasses” would be a good name) . If you hold the Brer Rabbit bottle up to the window you can see the light shine though it. The light does not shine through Plantation brand. 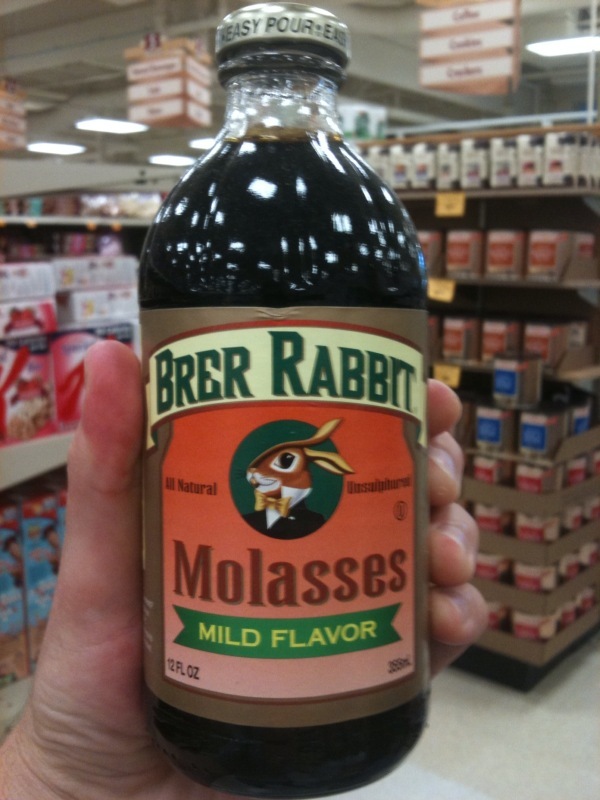 Brer Rabbit Molasses is to Plantation brand as Kent cigarettes are to Pall Malls, as terriers are to hound dogs, and as a high school students are to 36 year old bar maids. It is a question of taste. I remember liking Plantation brand the best. But I can not remember how I ate it.